DIY Biking | How bike builds, bike travel and bike life can save the world: Hi, Silicon Valley: Bike to Work Day is Tomorrow! I’m still getting over internal combustion engine-lag (I had to turn my watch back an hour every couple of days during last week's cross-country drive to get to Silicon Valley from Connecticut - a trip I’ll write about later) but I wanted to give you a reminder that tomorrow - May 14th - is Bike to Work Day in Silicon Valley. And you're going to do it. I once told Elizabeth Kim - the reporter at the Stamford Advocate who is writing excellent Bike to Work stories all this week - that half of what a city needs for cyclists is infrastructure and the other half is acceptance. (For reference: Delhi and Gurgaon, India has a ton of acceptance - a road user is a road user - but no infrastructure, Cleveland, Ohio has a great and growing amount of both and Greenwich, Connecticut has just about none of either). When I moved out here, I wanted to find out how much of both Silicon Valley has. And you know what? You’ve got a lot going for you: nicer weather, flatter terrain, a superior bikes on trains policy, no Massachusetts or New York drivers around - the list goes on. That also means your list of excuses for not biking to work is even shorter than most folks in Connecticut. So remember those Thirteen Words: If you have a bike and can ride it safely, please ride it. 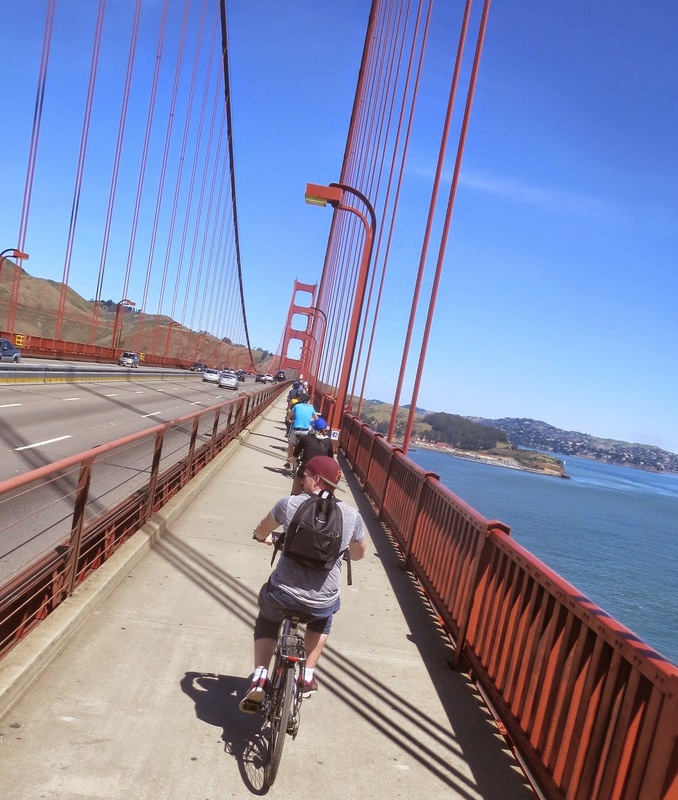 The Silicon Valley Bicycle Coalition is doing a lot of work to bring a great Bike to Work Day tomorrow, so be assured that if you #choosethebike you won’t be alone. They’ve got Energizer Stations (which is what it sounds like) all over the place - check their map to find one near your route. They’ve got tips on how to ride safely to work and are even having a Bike Away From Work Bash from 6 - 8pm at the Roosevelt Community Center in San Jose. They’re also inviting you to share your photos to their Twitter and Instagram accounts (@BikeSV and @BikeSiliconValley, respectively). Also use #BTWD and #BikeMonth to talk about both. So give bike commuting a try: as I wrote before you’ll save money, make friends and change yourself - and your neighborhood - for the better. Thanks for reading and thanks for riding.